Ink and watercolor drawing on paper. Signed and dated lower right : " John Romita ". Dimensions : 12.6 x 15.4 inch. 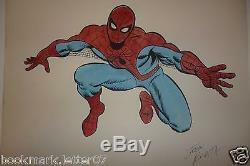 The item "John Romita Sr. 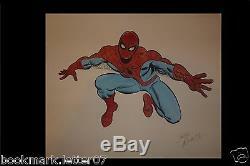 Original comic art Spiderman ink watercolor drawing on paper" is in sale since Saturday, February 18, 2017. This item is in the category "Collectibles\Comics\Original Comic Art\Drawings, Sketches".letter07" and is located in Budapest. This item can be shipped worldwide.